For a free quote or if you need help right now - call us at 604-256-7232! We are specialists in roof repairs, chimney and skylight repairs and maintenance. Our services and rates are the best around the Delta BC region and for that reason we have become the most recommended repair company. We specialize in residential & commercial roof repairs, re-roofing, emergency roof repair (24 hrs), skylight installations & repairs, home renovations, and more. We have consistently supplied unbeatable repair services in this region for over 30 years and have successfully helped many of our clients save cash on roof repairs. We are dedicated to offer the best maintenance and installation services and at the same time assist you make maintenance decisions that will see you save money while enjoying exceptional quality and service. There is no point in spending a lot of money on new roofs while you could simply get a repair. We will always come to your aid no matter the kind of problem you are facing; inspect the condition of your roof and then suggest the most appropriate step to take. Our state of the art equipment, tools and manpower aid us greatly in offering only the most reputable services in Delta and the surrounding area. We will instantly secure and offer reliable roof maintenance anytime of the day since our team of professional workers is available 24/7 and cover emergency cases like chimney repairs, roof repairs and skylight repairs. We undertake a highly efficient and vigorous process that ensures great success in exterior repairs. We use the most effective methods, thus preventing future damages; that way you can be guaranteed of a long lasting roof and have peace of mind. Instantly secure your house. They will conduct a professional tarp thus curbing further damage to your house. Carefully inspect the damage and source of the problem. They will also provide you with a quick solution to repair the damage. Effectively repair your roof causing minimal disruptions to your home and the environment. Provide open and clear communication with you and your insurance provider throughout the repair or maintenance procedure. With over 30 years of experience in roof maintenance we have specialized in quality roofing, renovations, roof maintenance and re-roofing services for both commercial and residential clients. You can call us anytime for cedar shake, asphalt shingle, fiberglass, torch-on, tar or gravel, tile or metal roofing and exteriors. You can be assured that we will always be at your service regardless of your roof type or damage condition. We will instantly offer you repairs and maintenance at the most effective price making us your favorite roofing contractor in Delta. Whether it is replacing your existing roof, new roof installation or roof repairs, either simple or complex, Roof Repair Delta, a division of Pacific West Roofing & Exteriors, is your local contractor with over 30 years of experience. Our company has the capacity to not only perform expert roofing, but also back up our labor with exceptional warranties on the system and labor. 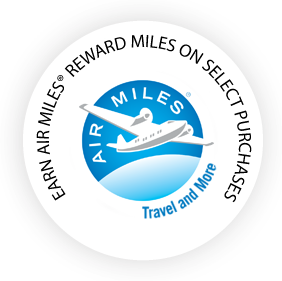 ® TM Trademarks of AIR MILES International Trading B.V. Used under license by LoyaltyOne, Co.